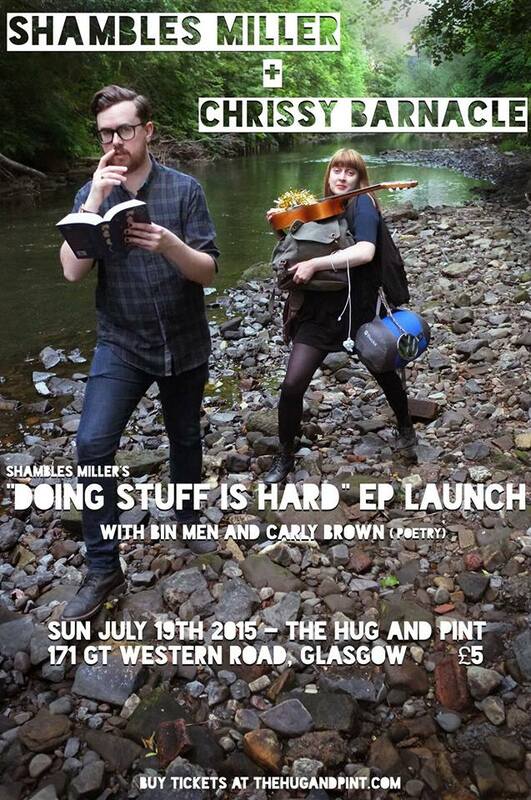 I’ll be doing a poetry performance in Glasgow tomorrow night as part of Shambles Miller and Chrissy Barnacle‘s tour to celebrate the release of Shambles’ new EP: ‘Doing Stuff is Hard’. Doing stuff IS hard. But hopefully it won’t be hard for you guys to come down to the pub tomorrow night to support these wonderful musicians. You can grab tickets here and check out the Facebook event here.